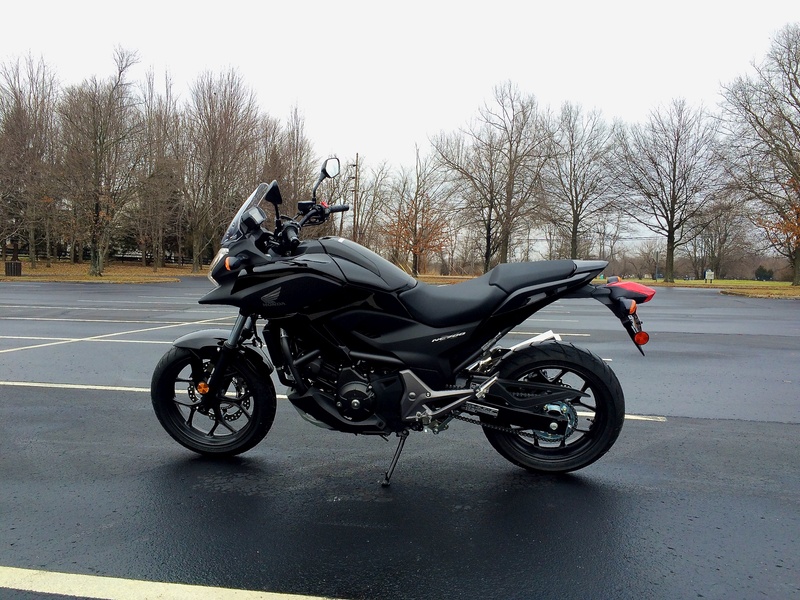 In my previous post, I revealed that I purchased a new motorcycle. My first motorcycle. 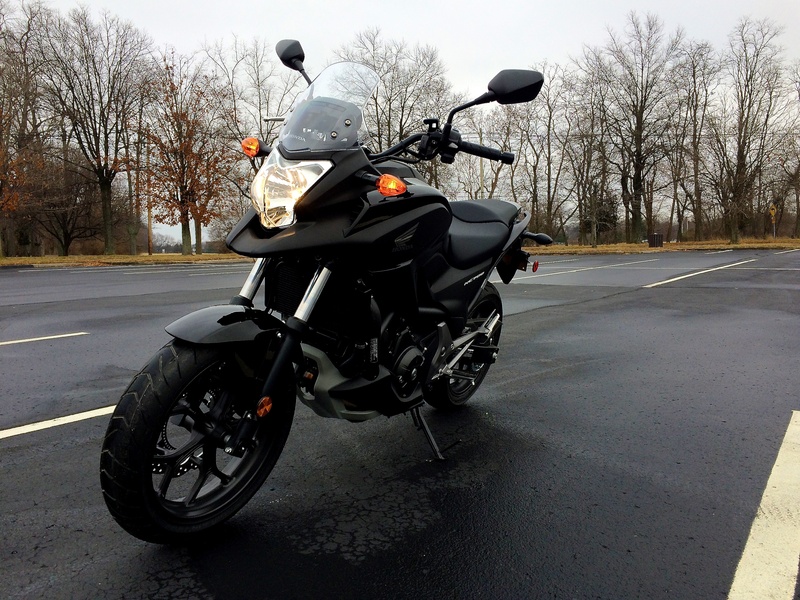 Honda NC700XD, 2014. I went over all the details of the buy and whatnot in the previous post, so I wont bore you with those anymore. I will say, it was a very long 2 day wait to get my hands on the bike. I signed all the paperwork Wednesday afternoon, and picked up the bike on Friday, thanks to the very generous assist by a friend of mine. He not only drove to get the bike with me, he brought along the U-Haul he and his wife had rented along with his ramp and ties. It was a very smooth trip and took a huge weight off my back. I was not looking forward to trying to get the bike home crossing any of the 3 bridges back into Louisville. My first ride came once I got home. I adjusted the windscreen a bit higher, donned my jacket, helmet and gloves and took it out for the first drive. When I started, it had 0 miles on the odometer. It was cold out – mid 30s. Other than my legs, the gear kept me quite warm with no issues. Of course, if I were going out for a long ride, I do have thermals. 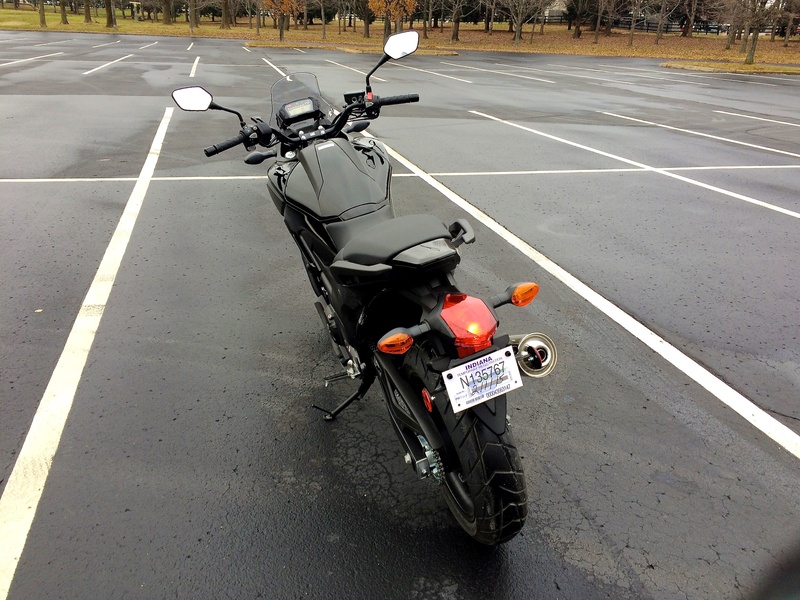 My first bit was to ride up to the park, where I could take time and go slow in the huge, virtually empty, parking lot. There were a couple things I needed to get, however. Gas, keys and garage door opener. So, I left the park, rode up to the Home Depot and got a couple extra house keys and a spare garage door opener. Crossing the 4-lane was nerve-wracking the first time, but it was midday and nice and bright out. I then filled up with gas and went back to the park for a few more laps. Once I was done there, I went back into my neighborhood and rode all around it. A total of 13 miles was put on the bike in that first ride. I got home, wiped it down and set up the garage door opener, so I didn’t have to rely on a somewhat malfunctioning keypad. When it came down to actually riding the bike, I was nervous when it came down to pulling on the throttle and getting too much power. It has a lot of torque in the low RPM range, but the automatic transmission shifted the gears so fluidly, I barely felt the changes. I never got pushed back or feel the bike raise up more than I was comfortable with. From the first time I pulled the throttle I knew I had made the right decision in getting the DCT (Dual-Clutch Transmission). All my worries about having to wrangle a clutch and foot shifter while dealing with traffic. As I said above, I was nervous about getting on the main 4 lane highway near my house the first time, but with that transmission doing the work for me, I could relax (somewhat) and pay attention to traffic – where the real chaos lies. Was it crazy to hit a major road 5 minutes after turning it on the first time. Yes, but I needed gas and other stuff, so I just went ahead and did it. Gonna have to get out there eventually, may as well start on it. It was a lot easier than I expected. As soon as it stops raining and the streets dry up a little, I will get back out there and put a few more miles on it. Unfortunately it has been raining all day here today, though it got to 60 degrees… How’s that for a kick in the pants. 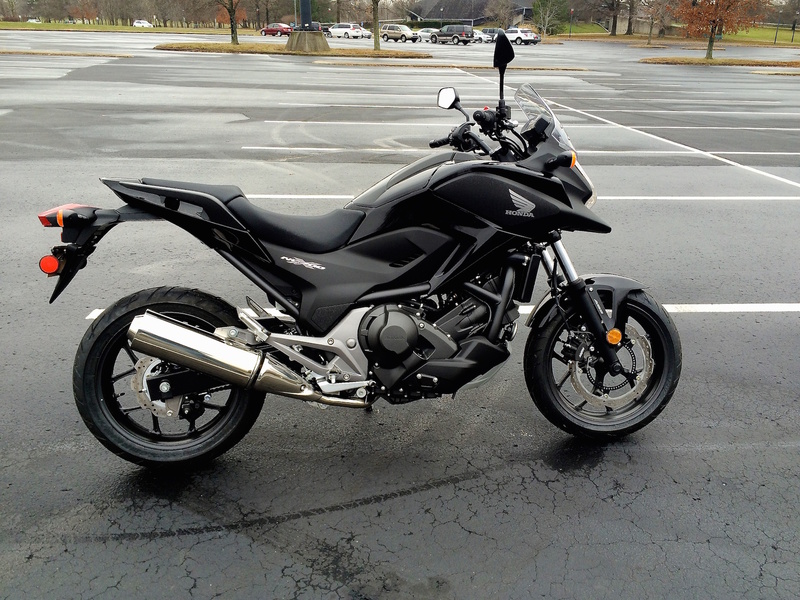 Some of my main plans for the motorcycle will be for commuting to and from work and around town. Secondly, I am looking for something to do on the awesome weekends we can get. I want to take some overnight trips, either with friends or solo. Or even some one day rides with groups or solo. 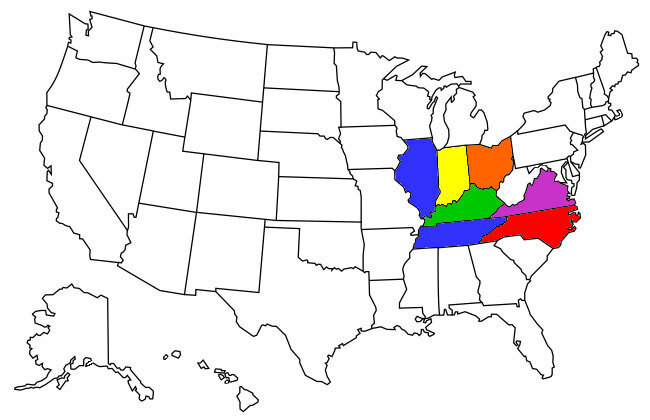 I have hooked up with a local group in Louisville – Louisville Vintage Motorworks – also on Facebook. Good group of people, and one of the main reasons I even looked at this motorcycle in the first place. I was going to get a used vintage motorcycle at first, but some good advice as a first time buyer/rider, I went with this beauty instead. They have a lot of get-togethers. Every Wednesday night at a local bar, and every 2nd and 4th Sunday at a different bar. There are also spontaneous rides throughout the year. I can’t wait. I also have some good friends who take trips all the time in their camper. Weekend trips and longer. They have their own blog relating to their trips here: The Flying Mantis. Good reads and fun trips. I am hoping to be allowed to tag along with them and enjoy some of the fun roadside attractions on our country roads. Can’t wait for spring and beyond. Actually, I cant wait for something above 30 and no rain. I am keeping my bike in the garage – because it makes obvious sense. I mean, yard vehicles are frowned upon in my neighborhood. But, as I have the room it is perfect. No storage, don’t have to run it around to the back of the house or anything like that. No need for a cover or anything else like that. 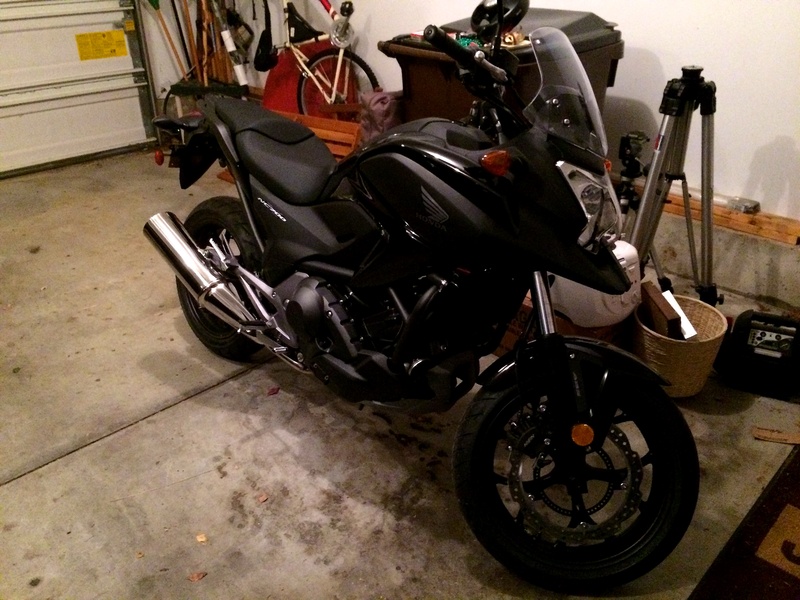 This means I have 2 Hondas in the garage: Honda Accord and Honda NC700. Love it. Some of the next things I am looking to purchase for the bike are side bags and a rear bracket/frame for more luggage for trips. I am probably going to save up and wait until I can afford the original Honda side bags for the NC700. There is minimal change to the bike when they are removed, no big frames left behind or anything major in change. I have a phone mount (gotta have my GPS) and a water bottle mount coming. $23 is worth it. Now, need to find a long stem water bottle so I don’t have to take the helmet off every time. I am looking for a good location and mount for my GoPro camera. Need something very secure so I can mount it and forget about it. Have plenty of time though, as I am in no hurry. As this is my first post after being on the bike (it has been at my house just over 24 hours now) expect more to come. And when I get my GoPro mount, there will be some videos to follow as well. Special thanks to Tim and Richie! Without you I could not have gotten my bike home as easy as we did. Started nice, got very cold! Most excellent, ride like you stole it but in a safe way. Glad we could get her home to you!